OLED wallpaper to spell the end for light bulbs? A two-year-old company based in North Wales has been awarded £454,000 by the Government-backed Carbon Trust to develop its OLED technology, which the company claims could reduce energy consumption by 60% over that used by existing light sources. Lomox Limited, the firm awarded the grant, is hoping to lower production costs of OLED panels while increasing both the efficiency and size of the panels. As well as light-emitting wallpaper, Lomox plans to make flexible screens that can be taken into meetings and rolled up after use, and outdoor lighting. The company hopes to have its first products on sale in 2010. "Lighting is a major producer of carbon emissions" said Mark Williamson, Director of Innovations at the Carbon Trust. "This technology has the potential to produce ultra-efficient lighting for a wide range of applications, tapping into a huge global market." Lomox isn't the first to come up with the idea of light-emitting wallpaper. 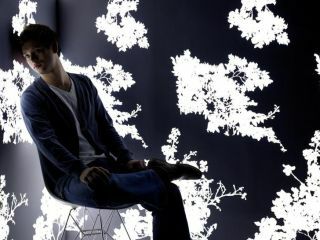 In 2007, Jonas Samson designed and submitted a luminescent wallpaper project as part of his final-year postgraduate degree. Samson admitted his creation wouldn't be cheap, though, with a basic "starting price" of 6,000 euros.